July 20th, 2012: After having an amazing experience working with V.A.P. 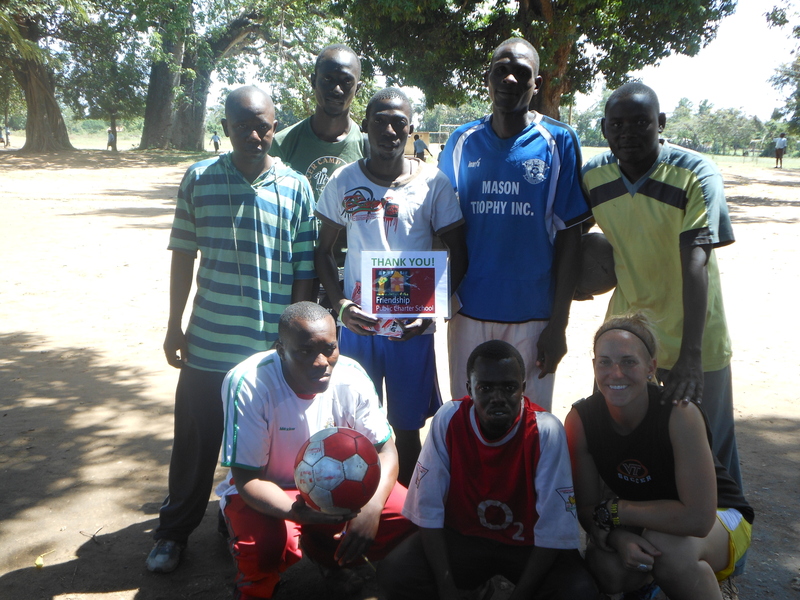 in Nairobi, Marisa, Adam, Lindsey, and I traveled to the coastal town of Likoni where we began our second program of my trip with Likoni Community Football League (LCFL). When we arrived, we were greeted by Kevin, an LCFL staff member and an instant friend. In the mornings, we would get a tuc-tuc from our rooms to a local primary school where the trainings were held; the afternoons were spent training some of the participants’ teams. The first day of training was really exciting because we got to meet all the amazing coaches that we were going to be working with for the next week. When we arrived, there were already about 15 inspirited coaches there and ready to train, and not only had they showed up on time and even slightly early, but they also all had balls. LCFL did a great job coordinating the participants as well as providing them with the correct supplies to lead to the successful implementation of our curriculum: all of the coaches were given notebooks to write down the drills that they learned in our sessions. The coaches’ enthusiasm to understand our mission (football for social development) and drive to learn our games from the very beginning made our program a success. However, witnessing the success was even more rewarding than just knowing that we had given the coaches the tools to succeed: we saw one of our coaches-in-training already implementing one of the games we had taught him in his practice, and running the game smoothly. The number of participants in our trainings grew throughout the week from a beginning figure of 26 to a graduating class of 36. In just one week, we were able to reach 1468 number of children by teaching their coaches and role models and by furthering our success in spreading awareness and changing behaviors with regard to such issues as HIV/AIDS, Female Empowerment, Conflict Resolution, and Health and Wellness.